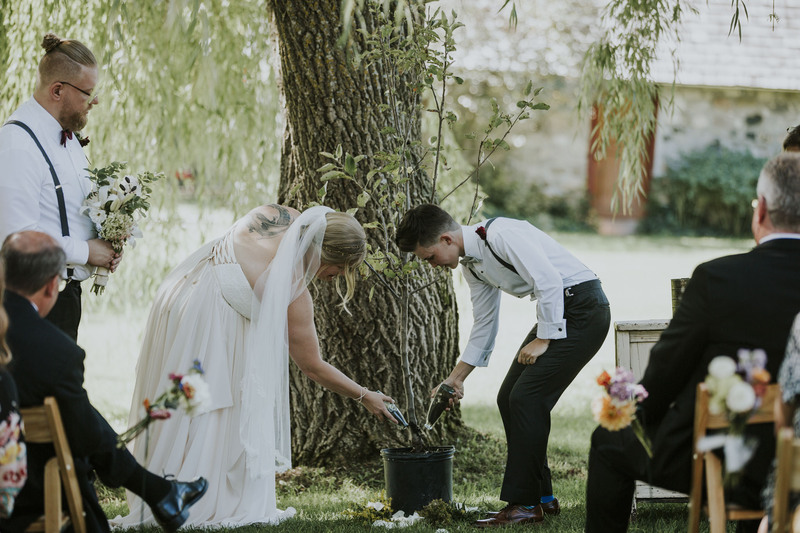 As human beings our traditions are important to us, many wedding traditions doubly so. 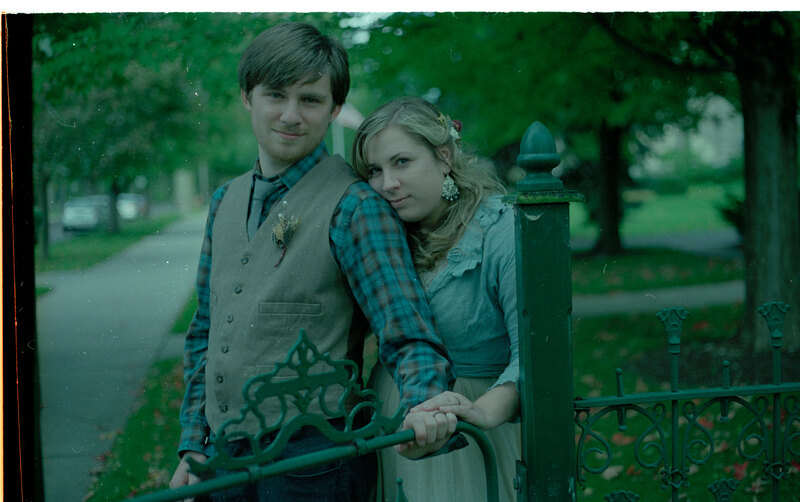 For many couples, it’s a time of leaning into conventions, or subverting them entirely. 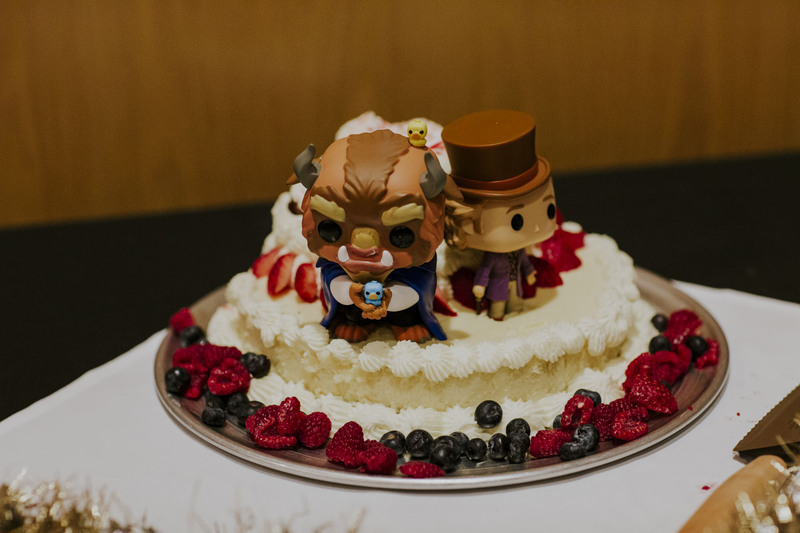 As wedding photographers, we have seen a LOT of interesting takes on traditions, like cakes, rings, vows, and dresses. It got us really curious about the origins of these cherished customs, so we did some research, and this stuff is too crazy not to share. Join us as we dig deep and uncover the wacky, heartwarming, and dark histories of wedding rituals! This saying comes from an olde English rhyme, a superstition for good luck— and, like many traditions, for fertility. These days, it can be fun to incorporate these things, especially when they come as gifts from relatives with special meaning to you. A lot of people get SUPER creative with this, and it’s fun to show your guests some personal items that have a real significance in your eyes. This old superstition comes from a background a bit more sinister- in arranged marriages, particularly for merging businesses or dynasties, the bride and groom wouldn’t be allowed to see each other at all out of a fear that one would be too ugly for the other. Today, it’s more of a form of building the suspense! Some couples don’t see each other at all before the ceremony, and the big reveal in the room is electric. 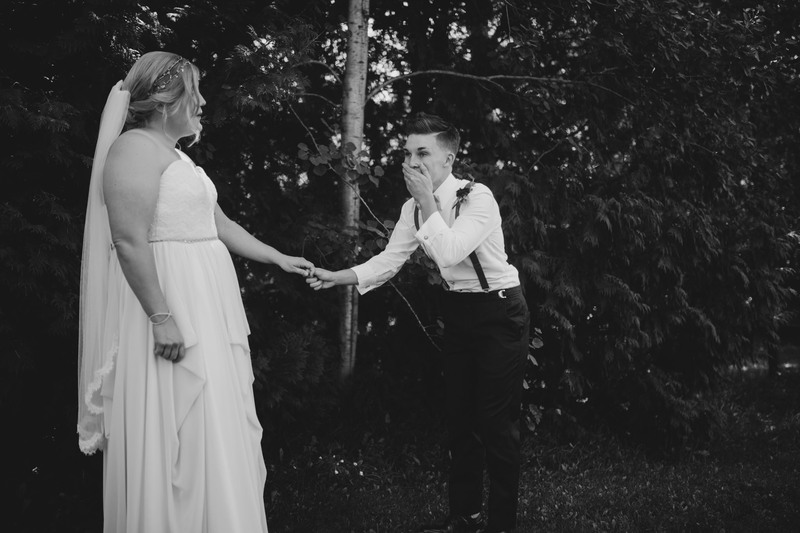 Others opt for a reveal earlier on in the day, in private, and we love capturing that moment. Isn’t it ironic? You’d think that, with all the hair and makeup and fancy clothing, you would want to avoid the rain. In fact, many cultures view it as a cleanser of sin, and (you guessed it) an indicator of fertility. But all superstitions aside, there’s something about a summer shower that evokes togetherness and a couple’s dedication to one another. Plus, we get to break out the umbrellas. How cute are umbrellas?! Okay, most people know the origin of this one. For a long time, any kind of special dress was a way to flaunt disposable income. The white dress specifically has traditionally been an indicator of purity, maybe chastity… need we say more? In some weddings, that’s still the case! Others rock the white not for any religious or moral reason, but because it looks good on them. And then you have the folks who find the coolest outfits in all colors of the rainbow, be they vintage, second-hand, or an impulse purchase that just works. The point is, it’s your day, and you’ve got to do what works for you! It’s speculated that bridesmaids originated as literal maids, servants, or slaves who attended to bride leading up to her wedding. Because it was an indicator of wealth, having a “maid” appear with the bride became fashionable. 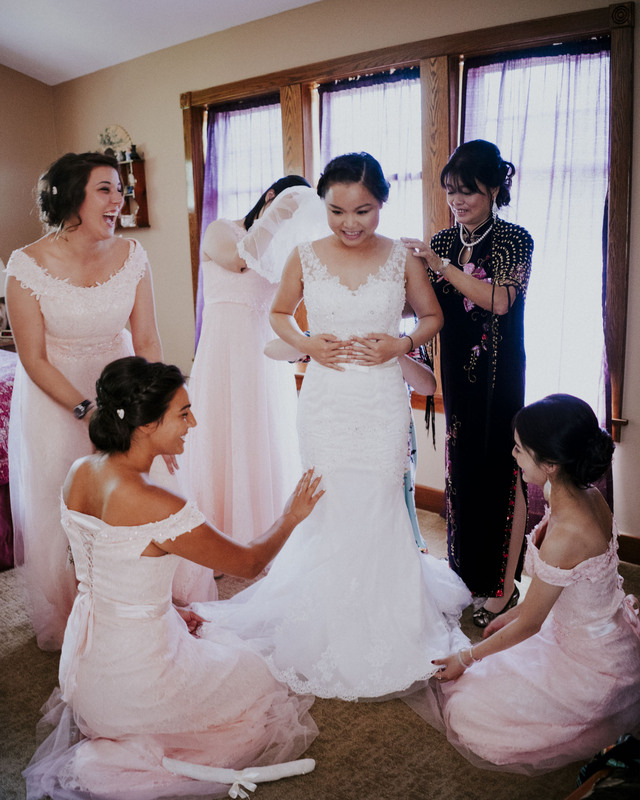 So began the wedding traditions of picking family members or close friends in the majority of weddings. 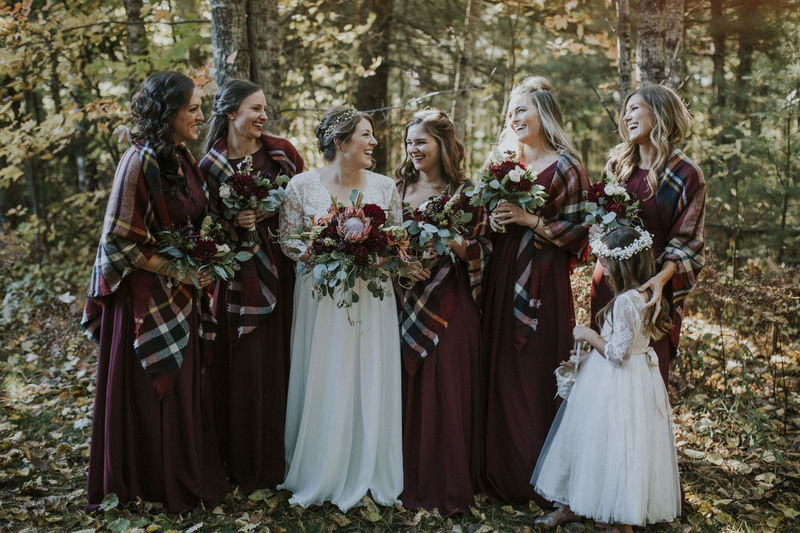 In the victorian era, it was actually the bridesmaids and groomsmen who wore white at the wedding, a trend inspired by Queen Victoria’s wedding party, who dressed to match her white dress. 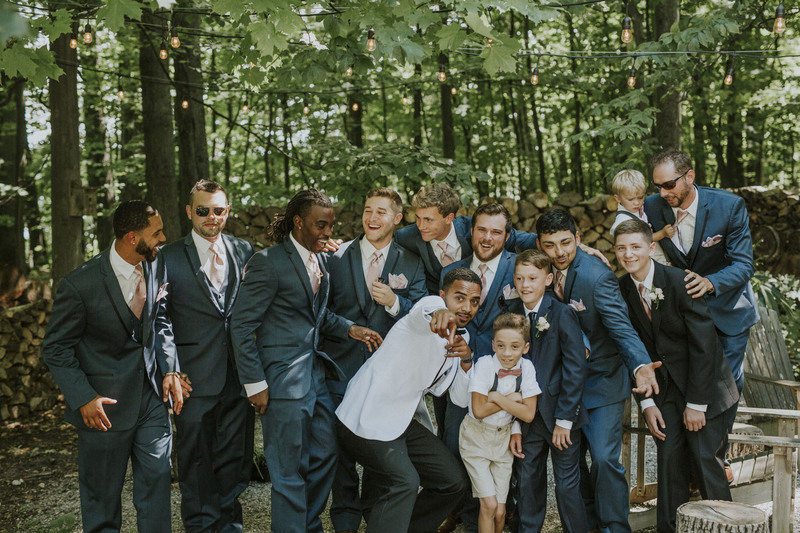 Groomsmen have a bit of a more sinister past! In some cultures, they helped the groom kidnap the bride and repel angry family members. They would then be the bride’s protectors until the day of the wedding— so that she wasn’t kidnapped back! Basically, they were around to keep things on track. As for the presence wedding party in general, in ancient weddings, it was common for the crew to dress up like the bride and groom to distract and confuse demonic forces bent on disrupting the wedding. 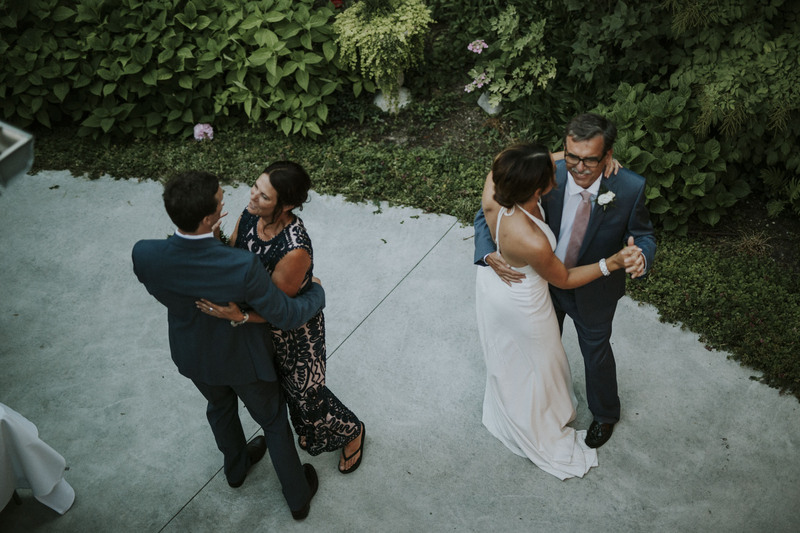 All things told, the friends and family you choose to incorporate on the big day haven’t lost any of their importance— they’re around to help plan, celebrate, and keep things on track on the day of the wedding. Whether you bring on six cousins, your college roommates, your dogs, or just your two best friends is up to you! Honestly, we could write an entire post about the significance of wedding rings in different cultures. 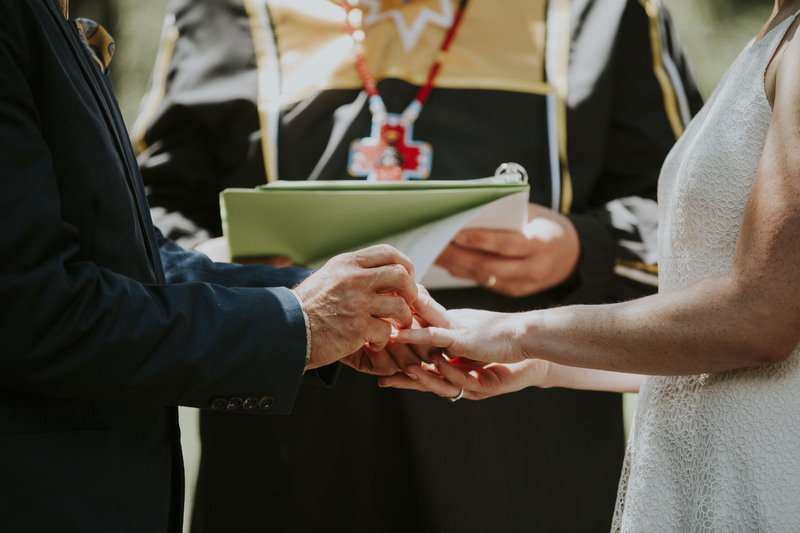 It’s common in all parts of the world to exchange bands before or during the wedding, but the historical reasons vary. The circle, a closed loop, is generally thought of as a symbol for a lifetime, or even eternity. And the Egyptians, those influencers of the ancient times, placed the band on the ring finger of the left hand because it was thought to have a special vein that led directly to the heart. Aww! In other societies, there’s no set template for who wears what ring on which hand and when. They’re commonly used not only to signify lifelong devotion, but also to differentiate between who’s married and who’s single when you’re separated in public. A friendly (and fashionable) reminder to you and everyone else of your monogamy. In our time, we’ve seen some interesting variations on the classic band! 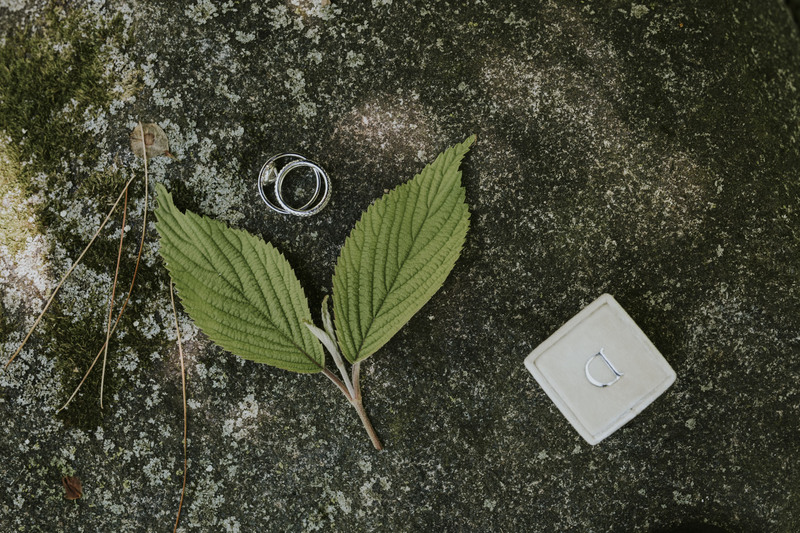 For our own wedding, we had wooden rings, but those broke over time (don’t worry, we’re still together). We’ve also seen really cool metals inlaid in other metals, metals crafted into wood, glass, bone, and silicone! We’re a big believer in choosing something that matches your lifestyle and your budget. Don’t feel like you have to drop an arm and a leg to show your love to someone, but also don’t be frightened away from the traditional band! It’s easy to get overwhelmed, but this is a day about doing right by your heart. Go with it. Yeah, no pressure or anything! This part of the wedding vows is still a staple in many ceremonies, and can be traced back to a catholic prayer book from the roarin’ 1540’s. It’s not as dire as it sounds— for many, it’s an indication of how strong their connection is, and how gifted we are to find someone to love on this earth in the tiny timespan we are alive. Lots of our couples prepare their own vows, which can be personal, meaningful, emotional, and occasionally, hilarious. Whichever route you choose, there aren’t many chances you get in a lifetime for a public profession of your love! You’ve got to make it count. No pressure. 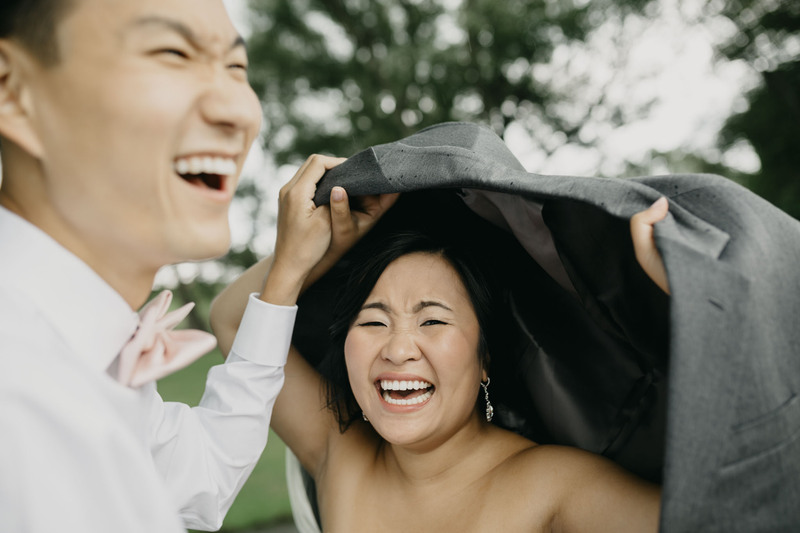 The wedding tradition of throwing rice at a wedding is meant to symbolize prosperity and fertility, but also… rain! 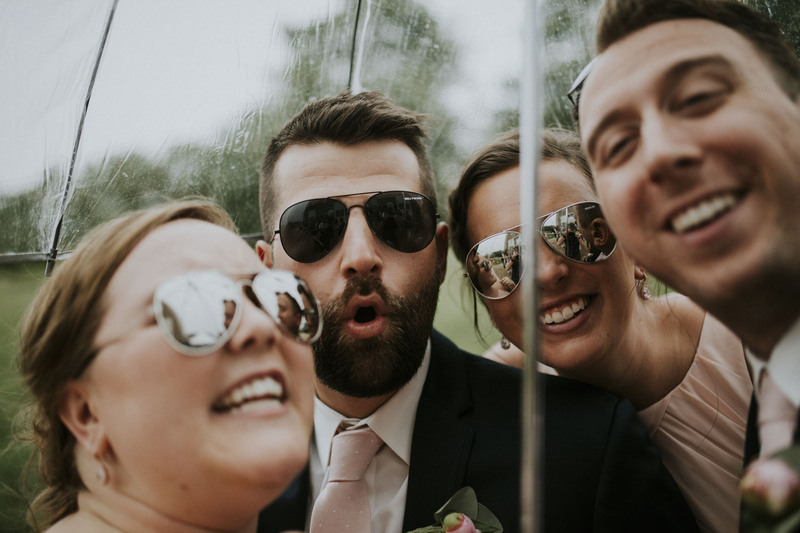 When you think about it, it makes complete sense- if you can’t find rain on your wedding day, you’ve got to make your own. Of course, a lot of folks opt out of throwing traditional rice and confetti because of environmental concerns. 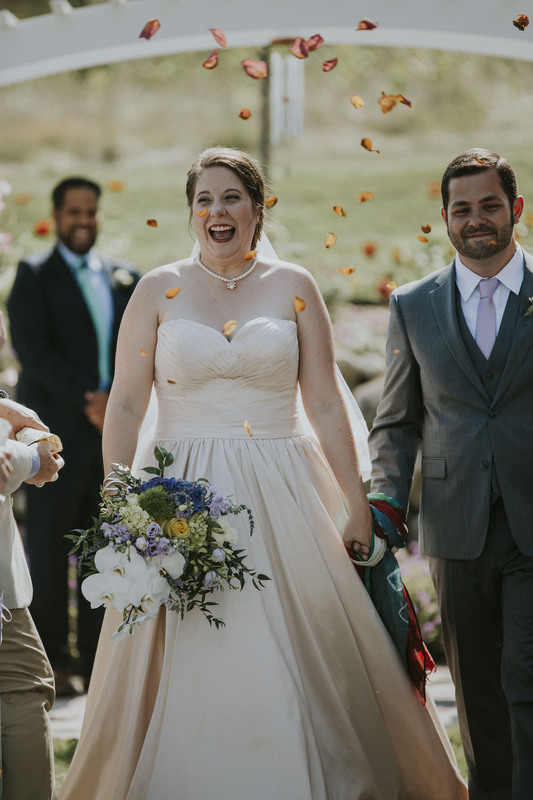 There are tons of creative alternatives, from birdseed, to biodegradable confetti, to (our favorite!) bubbles. The wedding cake began as a tradition in Rome, when a loaf of bread would be broken over the bride’s head for good luck. Around the 16th century, the traditional baked good was a “bride’s pie,” a savory dish that could include anything from oysters to sausage to… lamb testicles. Yeah, we prefer the modern version too… But you can get super creative with this! 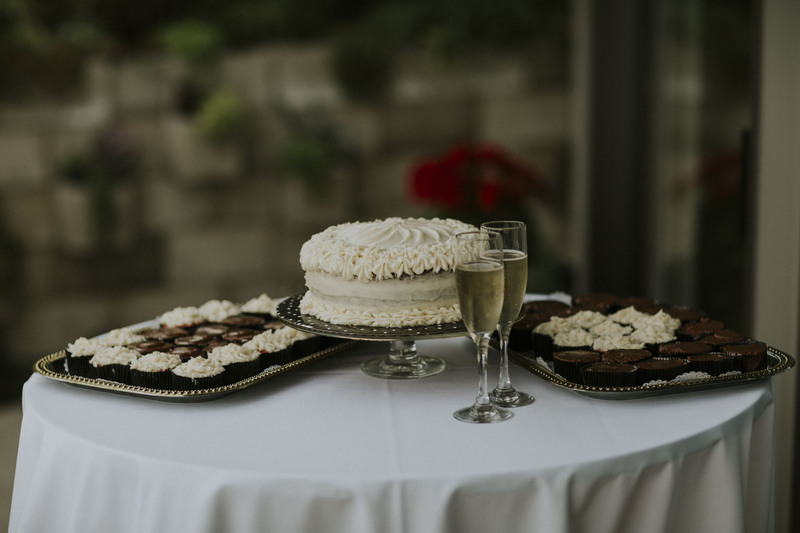 The traditional tiered cake can be swapped out with anything from a small cake and matching cupcakes for your guests, to donuts, to pies that aren’t made of gross stuff! The topper is actually a relatively modern invention, and came to prominence in the 1950’s. These are by no means mandatory, but they can make for a cute display, a holiday ornament, or just a reminder of your love for each other. The tradition now is much more palatable than back in the bride’s pie days. 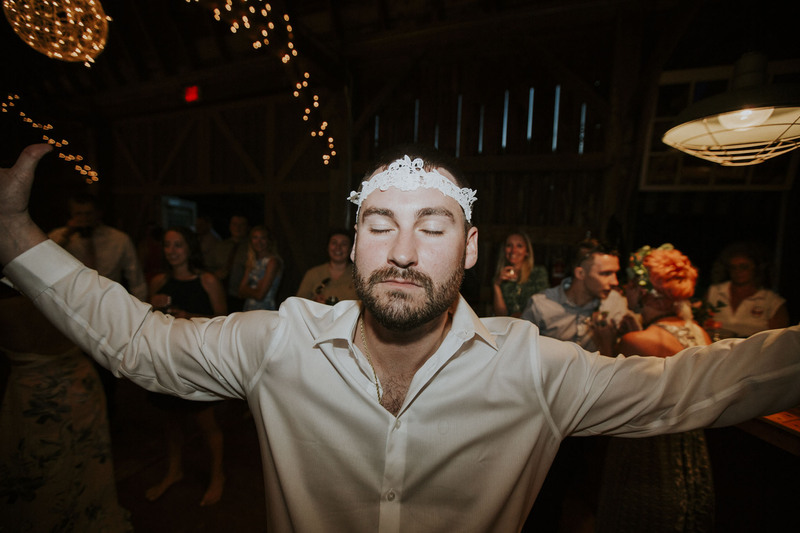 Then, there were accounts of crowds getting so riled up at the reception, that they would follow the bride and groom to their bed and tear at their clothes as a form of “encouragement…” yikes. In these instances, it was considered good luck to take home a scrap of the bride’s dress. Today, there’s still something little bawdy about the tradition, but it’s all in fun. 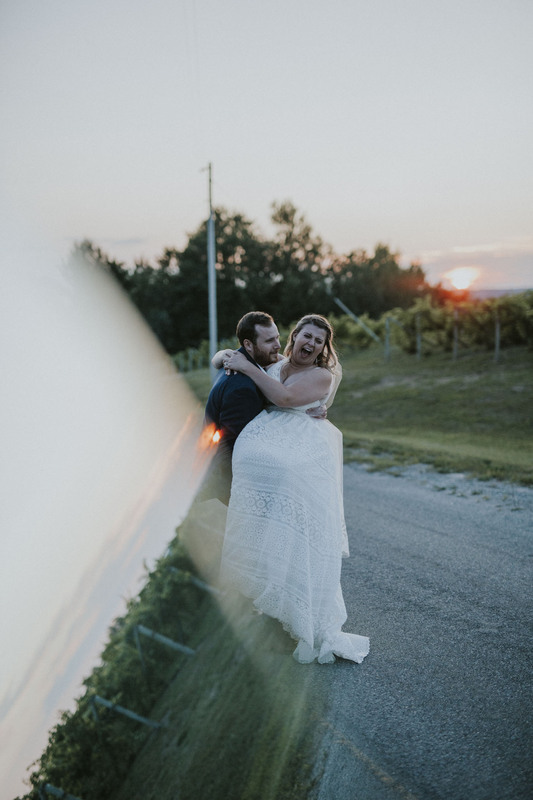 Plus, these often make for some of the best wedding photos. This is an extension of the old tradition of the father “giving away” the bride. Not everyone looks at a wedding that was any more, of course. But it’s still a touching connection between family members where you can really capture the emotion of people who have known each other literally their entire lives, who have seen each other through thick and thin. 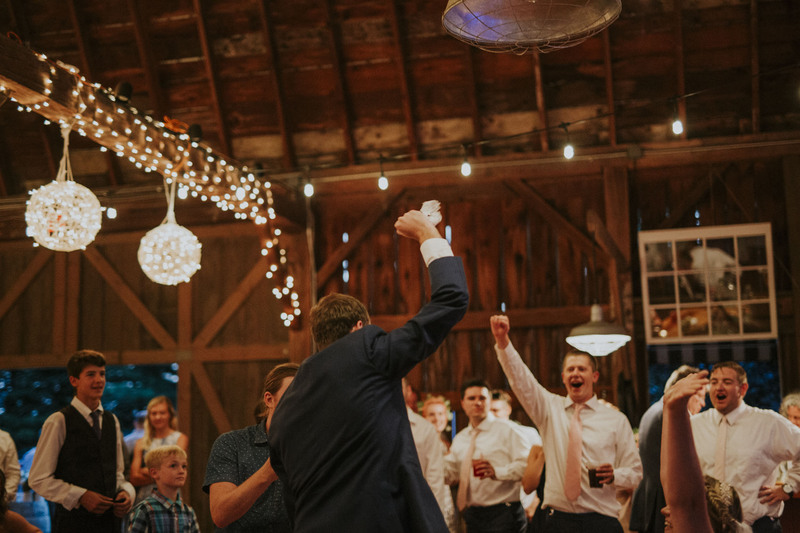 A wedding is a beautiful, exciting turning point in your life, and this dance represents the bittersweet feeling of leaving the past behind and moving toward a future with a partner by your side. 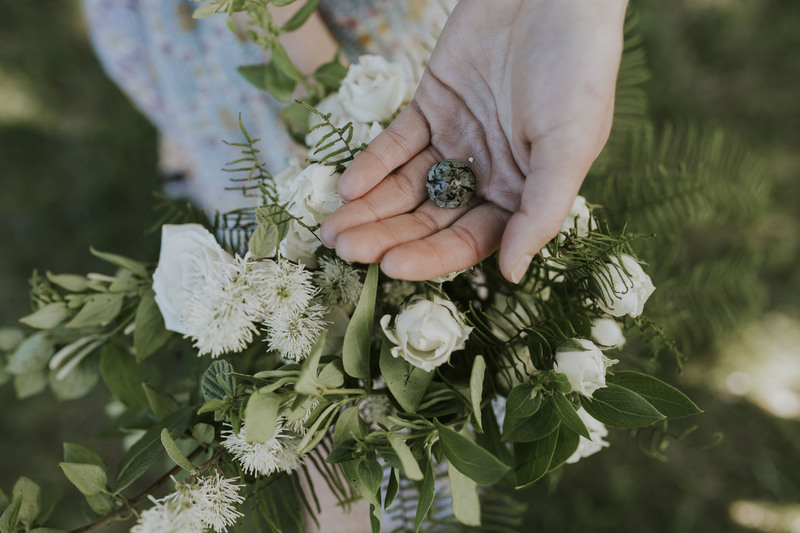 This wedding tradition started because it was considered bad luck for a bride to trip in the doorway to the new house, or that she might even track in demons living outside the newlyweds’ home! Spooky! We like this one because there’s a sweetness under that superstition. There’s something so special about literally lifting your partner up, holding them as you do in high regard. And as a plus, it’s just adorable on film. That’s all we’ve got for now! Hope you picked up a bit of wedding traditions trivia knowledge to drop on your friends, family, and wedding planners. Just remember the big takeaway is this; no matter how many or how few of these lovely rituals you adhere to, you only get to do this day once. Customize it (or don’t!) to your liking, and we will be happy to be there to capture every moment.